David Levine is an artist and writer based in New York. Recent solo exhibitions and performances include “Some of the People, All of the Time” at the Brooklyn Museum; Light Matter at Fondation Cartier (Paris); “Bystanders” at Gallery TPW (Toronto); and Private Moment with Creative Time in New York. He won an OBIE in 2013 for his performance installation Habit and is a 2018 Guggenheim Fellow. His writing has appeared in n+1, Triple Canopy, Cabinet, Frieze, Parkett, and Theater. Best Behavior (53rd State Press), an anthology of his writings on theater and performance, will be published this fall, as will the artist's book A Discourse on Method (Shonni Enelow). Levine is a professor of the practice of performance, theater, and media at Harvard University. Alix Rule is a postdoctoral fellow at the Institute for Public Knowledge. She earned a PhD in Sociology from Columbia University in 2017. She is the cofounder of Useless Press, a publishing collective that creates “eclectic Internet things.” Her writing has appeared in Dissent and Harper’s Magazine, among other magazines. November 5, 2011 11 a.m.—7 p.m.
Robert Zemeckis's Back to the Future (1985), top; Duncan Campbell’s Make It New John (2009), bottom. Caleb Waldorf will explore the interface, the technological object (and apparition) at the core of our information economy, which, when operating perfectly, erases its own presence. A conversation will follow. How do haphazard technologies such as the Web browser grow to govern the prevailing forms of expression at a given time? How might we use the Internet as a publishing space that both takes advantage of and pushes back against the shift from "readers" and "viewers" to "users," the preferred subject of contemporary design? Alix Rule and David Levine will present a performative lecture that asks: How have we come to think and speak in the language of the art-world press release? They will track the deformation of critical theory by curators, gallerists, and (most importantly) their interns, and discuss how the press release—occasionally construed as a pedagogical tool and a form of publication, or treated as a democratic substitute for the traditional art magazine—has come to shape art production and viewership. Rule and Levine will end with a workshop on how to generate one’s own IAE document. Taraneh Fazeli and Alexander Provan will look at the online message boards that have incubated hacker culture, and facilitate a discussion of how those forums have given rise to the ad hoc politics (and power) of groups like Anonymous? They’ll explore the formal structure of 4chan and the IRC channels employed by Anonymous, the consensual ethics that have arisen in those forums, the social mechanics and real-life encounters underlying them, and the public spaces and audiences engendered by them (most recently in relation to Occupy Wall Street). They'll also ask how these forums might be thought of as publications. 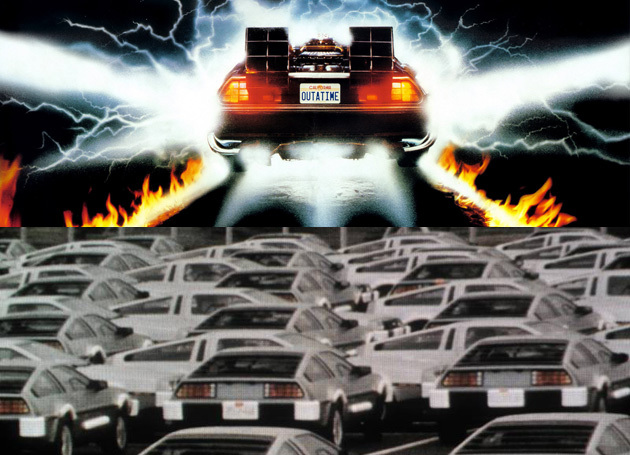 A consideration of the DeLorean automobile, its iconic status and material history, as shown in Robert Zemeckis's Back to the Future (1985) and artist Duncan Campbell’s Make It New John (2009), "a parody of the American myth of mobility." Factual Decoys will also inaugurate a new project by Triple Canopy: Volume Number, a publication cycle that reimagines the magazine as a framework for activities that occur beyond—but are ultimately enfolded by, and digested within—its pages. In the coming months and years, Triple Canopy will produce a series of publications, in formats ranging from the broadsheet to the PDF to the poster, that emerge from and feed back into discussions, workshops, and other public engagements. The publications aim to be generative rather than documentary, absorbing these engagements rather than merely representing them. Instead of merely printing the work of artists and writers, Volume Number will provide a variable space for thinking through—and collaboratively enacting—the practice of publication and instantiating the public spaces magazines purport to produce in the world.